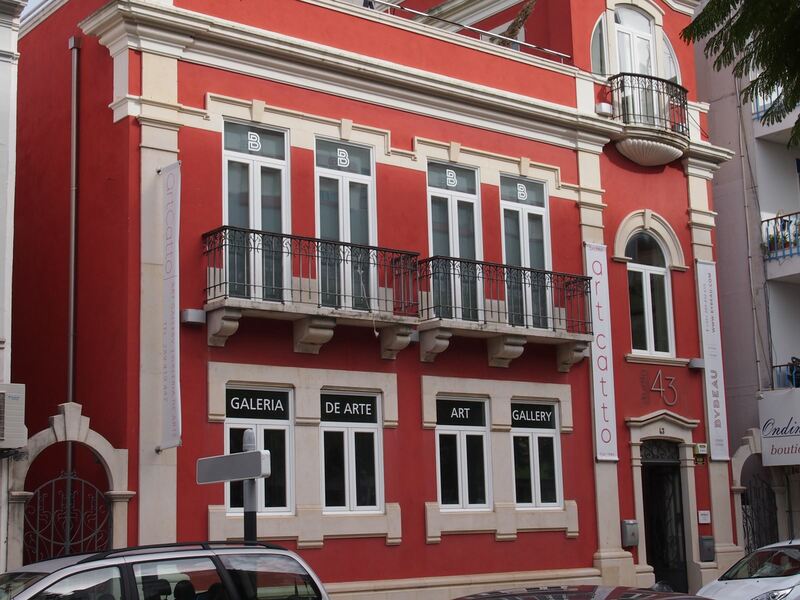 Art Galleries across the Algarve. Where are the hidden gems? Who are the Algarve Artists? Across the Algarve art galleries are not that common, but if you love art, there are some fantastic places to visit, tucked away in small villages and towns that you would possibly otherwise miss on your trip. Purchase something to remind you of your trip. The region also has many exhibitions throughout the entire year. For all of these Algarve art galleries, we strongly recommend you call first to ensure they are open. A number of them are very small and out of season their opening times maybe a bit erratic. The Galeria de Arte in Lagoa in situated in an old winery. Here you can browse and purchase the art. Up to 50 artists at any time may be displaying their art here and has 3000 square metres of exhibition space. It is open from 10am to 6pm Monday to Saturday. An additional space opened in 2015, in Ferragudo, in the main square. Spread over two floors, it also has a sculpture garden. In the centre of Loule, on the main avenue that runs through the centre is Art Catto. It's in a beautiful old building that has been completely re-furbished. It features art from many artists, all on sale. There are regular exhibitions, often at the Conrad Hotel in Quinta do Lago. It is open from Monday to Friday, 10am to 6pm. Tavira d'Artes is in Tavira opposite the Vila Gale hotel. It features a range of artists and all of the art is for sale. They will send your purchased artwork anywhere. They are open Tuesday to Friday, 10 until 1 and 3 until 6, and on Saturday, from 10 until 2. Studio Bongard features the work of Tara and Sylvain Bongard. Their work is primarily clay sculpture. They have two studios, one in the centre of Monchique called Arte Monchique. Artwork is on all three floors. Studio Bongard is just before the entrance to the village of Ferragudo (near Portimao). Florbela Luis Mendes is a local artist but with no gallery space. Her art is sometimes available to view at the Restaurant Vale dos Pinheiros in Quinta do Lago. We've included a link to her Facebook page to see her art and should you wish to get in contact. The Algarve Artists network is a group of local artists, twenty at present, who live, work and exhibit across the region and also outside the region. It includes detail on how to contact each one of them. Their Facebook page is regularly updated. Liz Allen is very active holding regular open days of her work in her Monchique studio. North of Albufeira, just outside the lovely old village of Paderne, is the Corte-Real gallery. This is a fantastic old house featuring many works from different artists that are for sale. The house also showcases some pottery, ceramics and sculpture. The GPS coordinates are N 37 degrees 10.224 and W 8 degrees 10.942. The gallery is open from 11am until 5pm Thursday through to Sunday.